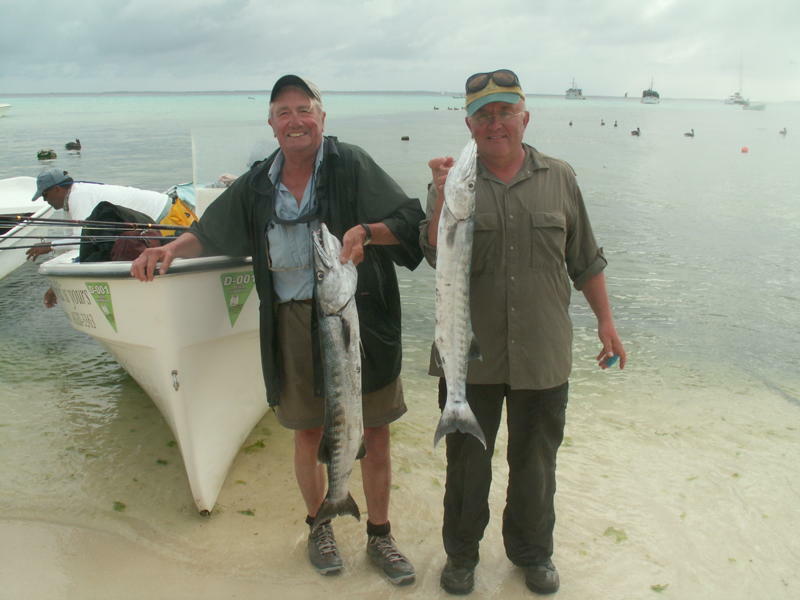 Nick Smith and his 81 year old uncle, Mr Dan Ponting, went on a fishing trip to Los Roques Venezuela where he used a Sportex Seastar Travel Rod with the Stillwater GF5000 to land the 25lbs Barracuda in the photo. Nick used the same rod matched with a Penn Captiva II 8000 loaded with 84lbs Penn Braid to land the large Wahoo in the photo. They had a great trip and hope to repeat the trip with the same gear! Nick and his Uncle with their exotic fish!